We are at J-1, i.e. the day before the planned launch of the BepiColombo satellite that will be en route to Mercury. 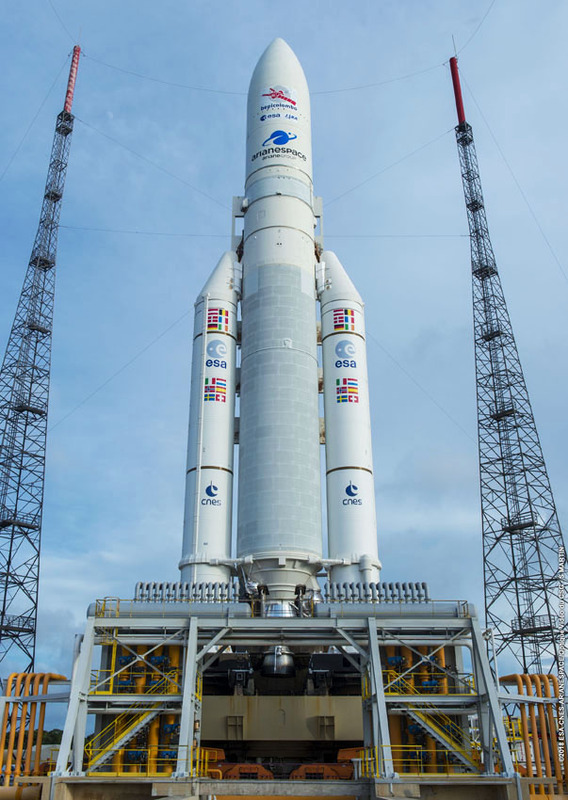 The three-satellite-stack is under the fairing of the Ariane 5 launcher, now on its way to the launch pad. The big door of the Final Assembly Building was pulled up around 09:45 this morning. When I arrived at the viewing site at 10:30, strategically placing myself opposite the building, a crowd was already starting to gather to watch the event. 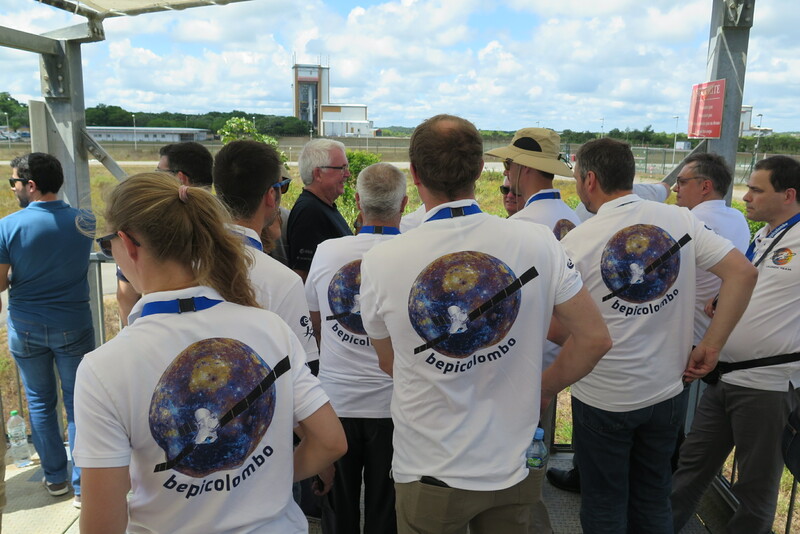 Roll-outs hardly ever take start on the dot so there was plenty of time to socialise and greet members of the BepiColombo team as well as colleagues from the spaceport.